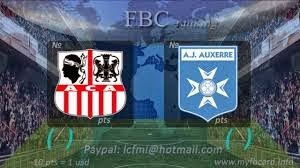 I am going to risk a bet on goals in this game as Auxerre has been a good team in away games recently drawing 2-2 at Creteil as well as winning 2-1 away at Valenciennes. They hae also progressed in the French Cup after defeating 3rd league team Le Poire Sur Vie on penalties away from home, and their morale is good at this moment. Ajaccio is a good team, and they will be on the attack in this game, so there are good reasons to expect a couple of goals in this game and my bet is going to be on over 2.5 goals.